The tulip is a perennial flowering plant that grows from a bulb. Its genus, Tulipa, includes more than 100 species and has members that are native to parts of Europe, African and China. The blooms are noted for their variety of bold colors, including shades of red, pink, purple, yellow and orange. 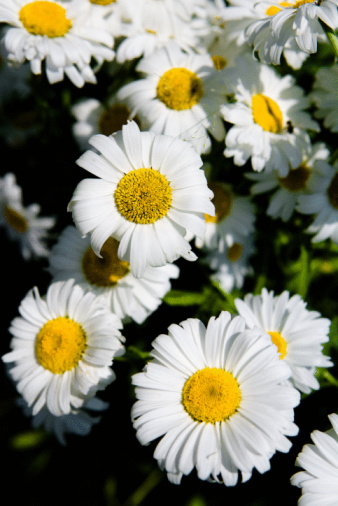 They should be planted in a nutrient-rich, well drained soil and require regular watering. The flower itself is sometimes noted for its color change, which may be the result of environmental problems, health issues or age. Tulips are a springtime favorite in the garden or as cut flowers. The most common cause of discoloration in tulips is age. 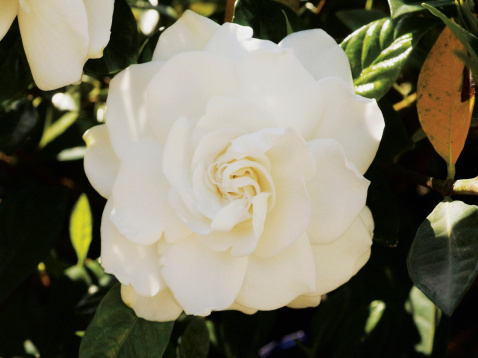 Over time, petals may take on a lighter hue than in previous years and may change color altogether. Tulips and gladiolus are the most prevalent age-related color changers, though most flower varieties will fade over time. The cause of this fading is not known but is thought to be a method to indicate plant's health to potential pollinators. Since it is a natural process of aging, there is no way to reverse it; if growers want a bolder color for the garden, old plants will should be replaced. 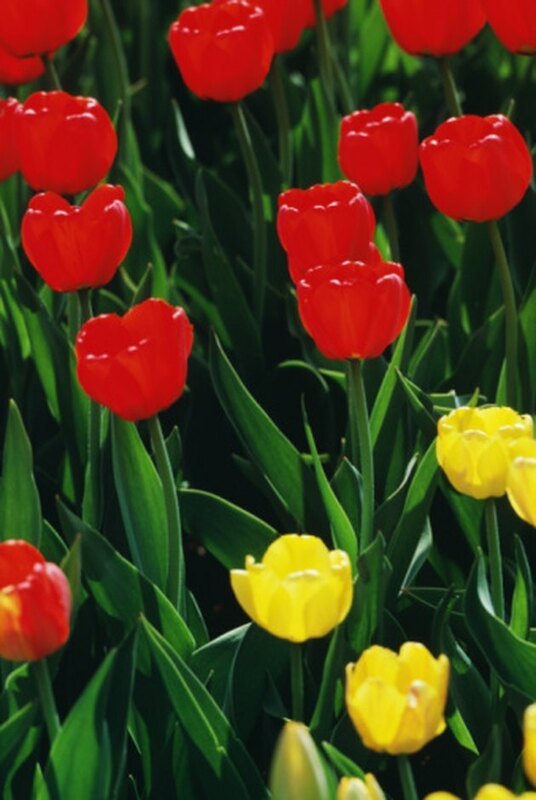 Though not specific to tulips, stress may lead to slight or severe color changes in flowers. Stress may increase if the plant is transplanted or if optimal growth conditions are not met. Peonies, for example, have been noted to change from pink to white, and occasionally irises will do the same. The color may or may not return to normal once balance is restored; this depends largely on the species and the amount of damage done to the plant. Some plants will return quickly, while others may take a year or two, if it happens at all. Breaking in a tulip is a term that references a non-genetic color pattern that develops on the petals of the flower. These patterns are the result of viral infections, which may become fatal if left untreated. Most often, light colored blooms will develop a dark mosaic pattern, while dark flowers will develop lighter stripes or flecks. These color changes and patterns will vary greatly and are not usually uniform, an easy indicator that a health issue is to blame. More than a dozen potential viruses may be responsible, either one at a time or in combination, including potato virus Y, cucumber mosaic virus and tulip virus X. Exposure to sunlight is a key ingredient to keep a tulip healthy and in full color. If too little sun is available -- tulips do best in full sun or partial shade, depending on the planting zone — the result may be a flower with dulled coloring. In some species, including tulips, cool weather will bring about more colorful blooms than warmer conditions. Are Easter Lilies Poisonous to Humans? What Do Tulip Colors Mean?